Is premature aging making you look way older than your friends? Want to turn the clock back to a time when your face was not ruined by fine lines, wrinkles and skin folds? No, we are not talking about invasive surgeries. It is all about pushing into certain filler called ‘Radiesse’ into your skin and turning it flawless, again! 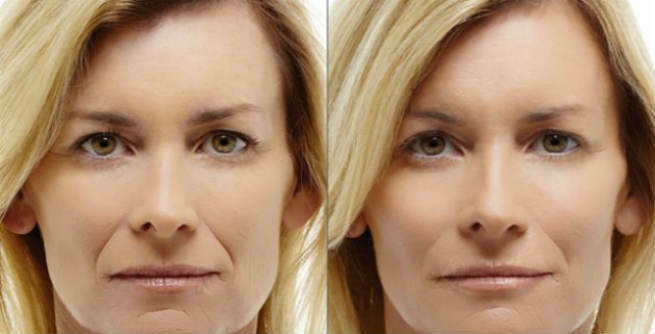 Radiesse, earlier known as ‘Radiance’, is a biocompatible dermal filler that offers long-term results for erasing signs of aging around eyes, nose, lip lines, etc. and filling in different marks of scars. It contains calcium hydroxylapatatite (CaHA) microspheres floating in a smooth carboxymethylcellulose gel which, being both non-allergenic as well as non-toxic, offer great solutions to aged and sun-damaged skin. Radiesse also plays a key role in stimulating the production of natural collagen within our body through ‘neocollagenesis’. It encapsulates the microspheres, thereby restoring the lost volume, structure and smoothness of the skin efficiently. At first, local anesthesia is applied to the skin of the targeted areas in order to make them numb. Being biocompatible in nature, Radiesse does not need an allergy test. One or more ‘points of injection’ are figured out and a good topical antiseptic is applied on them. Now, the filler is injected right below the surface layer (dermis) of the skin with the help of ultrafine needles, which promotes our natural collagen production and helps smooth out wrinkled skin. The entre process can be performed between 15 and 30 minutes. 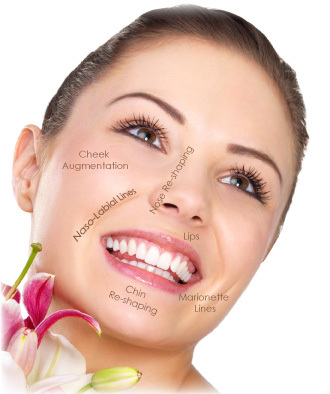 An ideal candidate for Radiesse treatment should have fine lines, wrinkles, folds, creases, age spots, sun spots, etc. on her face and she must be aged between 30 and 60 years. Radiesse gives immediate results. It means, almost 80% changes are visible right after the treatment and the rest will be noticeable within 1 week or so. The results of Radiesse injections are long-lasting. You can enjoy your smooth and youthful skin up to 2 years. After that, go for a touch-up treatment in order to maintain your facial beauty. Like most other dermal fillers, Radiesse also does not come up with significant downtime. You can return to your regular schedule as soon as you are out of your doctor’s office. There might be certain issues like a little swelling, redness and bruising at first, but all these will get cured within 48 hours. Also, make sure that you avoid sun exposure for at least a few weeks after the treatment. Although minor, but Radiesse treatment has certain complications. These include swelling, redness, bruising, infection, allergy, lumping, bleeding, etc. Eradicates signs of aging like wrinkles, fine lines, deep creases, skin folds, sun damages, etc. Fills in certain scars successfully. Offers immediate results which are long-lasting. Being non-invasive, does not involve much pain, discomfort or bleeding. Every single syringe of Radiesse will cost you anywhere between $650 and $800.